You may need business financing to either set up a business or to expand the existing business. Lenders will provide financing for your business based on your creditworthiness. There are many types of loans available in the market and knowing the right one for your business is important. We will explore the different options available in the market. Term loans are the most common types of business loans. You get a lump sum and pay interest on the principal amount. These types of loans have the advantage that you get your money upfront and can borrow high amounts. You also get the money faster if you use online lenders. You may require collateral or a personal guarantee. Interest rates may vary with online lenders being slightly costlier than normal banks. If you need to equip your business then this is the right type of loan for you. The equipment serves as collateral and the lender can repossess it if you are unable to meet the terms of the loan. The value of the equipment determines the rates you will pay. Depending on the strength of your business you can get competitive rates. You may, however, need down-payment and the equipment can become obsolete before the term of your loan expires. You may, therefore, be paying for a machine you are no longer using. This type of loan is good for people who want fast cash. You use your invoice as collateral to get cash advance. Invoice financing is, however, costlier than normal loans and you will still need to follow up on the invoices for payment. You can take a personal loan to finance your business. This works for start-ups who may not qualify for a business loan as most require that you should have been in business for a period of time. You need a good credit score to qualify for a loan but can access fast funding. The borrowing costs are higher and the amounts you can borrow are not high. If you fail to pay, it will reflect in your credit ratings and may hurt your chances of getting a loan in future. Non-governmental organizations offer microloans to support small businesses. The amounts given are not large but they come at a low cost and are a good option for start-ups. The lending organizations normally have stringent qualification checks before you qualify for a loan. Business lines of credit provide funds up to your credit limit. You only pay Interest on the money drawn. It is a good option for short financing and emergencies. You will not need collateral thus much flexibility in borrowing. There may be some additional fees like maintenance and withdrawal fees. You will also need to have good revenue and credit. To build a successful business, you need funding. There are very many options available in the market. Only borrow what you can comfortably pay because defaults will cause a stain on your credit rating. 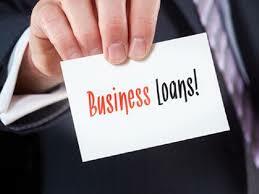 Business loans are important for financing a business and there are many types of loans and lenders with very attractive packages available in the market. You may, however, need to know the pros and cons of taking business loans, weigh them carefully and make the decision of whether to get one or not. · Unless you make them silent partners, the lender does not become a part of your business and will not have a say in how your business runs. As long as you repay your loan, the profits are yours to keep. · You may get good interest rates depending on the lender you approach. Business loan interest rates are normally lower than the interest charged on personal loans. · Interest payments are sometimes tax deductible. Find out if your business qualifies for this. · Many types of loans available. You can decide on the interest options for instance variable vs. fixed loans. You also have the option of unsecured loans although these charge higher interest rates than secured loans. · The loans are normally easy to get and you can access large amounts of money at relatively short notice. · Your business may not qualify for the loans. There are conditions that need to be met for your loan application approval. You need to have a proper business plan in place together with a profit prediction for your business. Make sure you are fully conversant with their requirements before you start the application process. Even with the approval of your loan, the lenders may not grant you the full amount you requested. · Loan approvals require your credit rating to be good, poor credit history can lead to rejection of your loan application. · If you take a variable interest rate business loan, you will be open to the unpredictability of the financial markets. If interest rates rise, the business will have to pay the adjusted rates meaning that the impact on a small business, especially a startup, can be hard to adjust to. Businesses that may have not started making profits may not afford the payments leading to defaults. · The loan appears as a liability on your balance sheet and can affect your business valuation. Be careful when borrowing money for your business. Though a great solution for your business, they do add to your debt burden. Ensure that you pay back the money in the stipulated period so that you do not affect your credit rating or lose the assets you used as collateral. Always engage the services of an expert to walk you through the loan application process. Thinking of starting or expanding your business and need capital or funds? You can decide to raise the funds from your savings or by asking your family members or close friends to loan you the money, but you may not raise the required amount. You can, therefore, opt for a business loan. 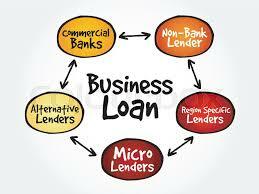 A business loan is borrowing for a business purpose. You will be undertaking a debt from a lending institution and pay it back with interest at an agreed point in time. The loan will cater for the expenses that will arise which the business cannot cater for, this could include rent, salaries, and renovations, amongst others. The lender may need to know what you are borrowing the money for, so having a well thought out business plan will help you secure the loan faster. Good credit scores will help a lender form the decision whether to give you the business a loan or not. Lenders use Credit scores to determine whether an individual or a business is capable of servicing a loan. It takes into consideration the financial habits of an individual or businesslike, timely credit card payments, bankruptcies, defaults, overspending, the age of the company and size of the company amongst other considerations. The lender will require a credit report to allow them to see how good you are with money. Individuals or business with a low credit score are high risk and are generally avoided by banks. Lenders make their money by charging interest on the principal amount. Ask your lender whether they are offering fixed or variable interest. As the name suggests, fixed interest means the applicable rate remains constant for the duration of the loan repayment. Variable interest, on the other hand, fluctuates due to market conditions. You may need to consult on which is a better option for you because, for example, fixed interest will be good when the market interest rates go up, on the other hand, if the rates go down, you will lose out on this benefit. You are better off keeping the loan repayment to the shortest time possible to avoid interest accruing. Before you apply for the business loan, you need to decide on the amount. Do not borrow more than you need, only borrow enough to cover your expenses. Consider the duration you want to pay back the loan to avoid high-interest rates and the type of loan you want to take whether fixed or variable interest or secured, which might allow you to pay lower interest, or unsecured. 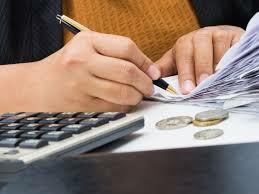 You may need to personally guarantee the loan in case the business is unable to pay it back. Some lenders have a charge that allows them to seize your assets to repay the loan if you are unable to meet the terms of the agreement. 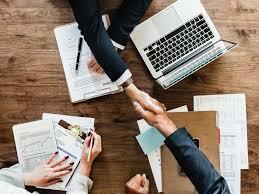 Finally, read the loan agreement documents carefully and engage a lawyer or financial specialist to walk you through the documents and explain terms you may not understand before you sign on the dotted line.